download the Brick Benefit Form to order by mail. Have A GD Veteran to Celebrate? 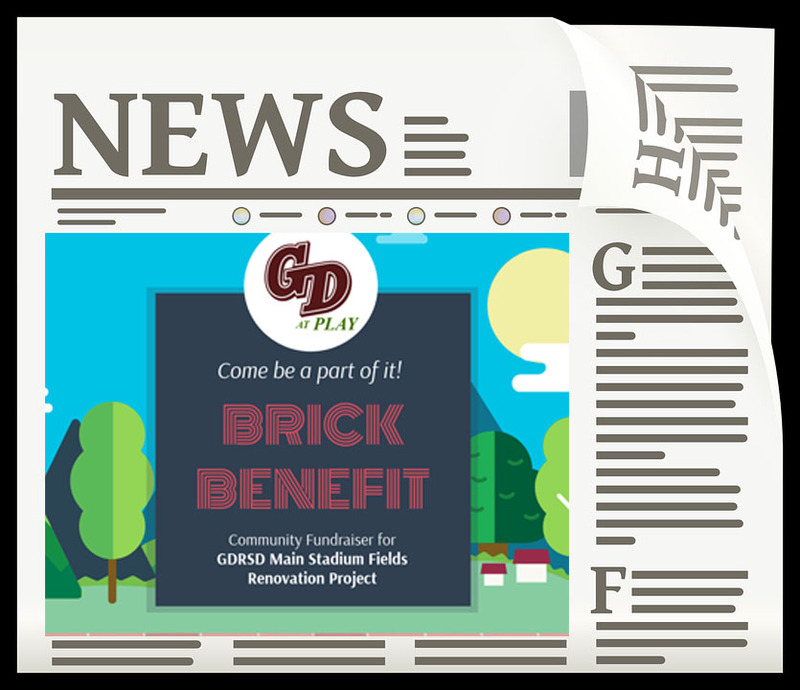 Donate a brick for the GD Veterans Service Garden project here! We value healthy outdoor activity and learning for our student athletes and community. We value safe and sustainable surfaces at the GDRHS. Read more about us, the surface or Donate Now. GDatPlay formed when a group of concerned parents and school administrators took the initiative to research replacing the stadium grass with synthetic turf. In 2016 GDatPlay consulted with Gale Associates to create a feasibility study. Since Gale's findings - to replace the grass in the stadium while keeping the remaining grass fields viable - GDatPlay has earned permits and approval from town and school committees and agencies to raise funds for the turf and the future replacement of the turf. 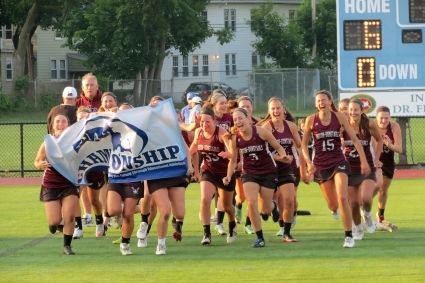 GDatPlay will gift the field and funds to the the Groton Dunstable Regional School District, who will then own and control the field. Please review the Nov. 3, 2016 Information Night Presentation (ppt). The project constitutes major and minor renovations to existing fields on campus. No new fielding will be added. The goal is to create a campus of fields which can sustain the level of use and be safe and more affordable to maintain here in New England weather. The current installation, after 13-20 years of use, needs repair and improvement. The Fields Renovation Project consists of installing a synthetic turf field in the stadium complex (currently has lighting), improving all natural turf fields that currently exist on campus, and if deemed necessary after the first 2 phases are complete, installing a second synthetic turf field in place of the current natural turf. The project first phase begins with installing a synthetic turf field inside the track at the main stadium which currently has lighting. GDatPlay, working with Gale Associates and town officials, have secured town permitting for the project. The second phase is the improving of all existing natural turf surfaces to excellent conditions. The third phase, if necessary, will be to install a second synthetic turf field at an existing location TBD. Like similar communities around us, we will raise the funds necessary by private means only. A communication and capital campaign to engage the entire community is kicking off in 2017. Our capital campaign will focus on a Dual Surface approach to sustainable field maintenance at GDRHS. Donate now! Ellen Ferraro, Paul Ferarro, Jeanne Niemoller, Lynette Fisher, Mickey Higgins, Robert Mullins, Chris Davey, Jack Petropolous, John Giger, Mike McCaffrey, Mike Woodlock, Rick Arena and Sarah Eisenklam. Contact us. Student athletes daily utilize the fields at GDRHS. Of schools in the Commonwealth of Mass. have installed a synthetic field as part of their campus. GD activities are rescheduled due to inclement weather. Wasted on buses, alternative field rentals, and time annually to reschedule events. In the current capital plan to rehabilitate existing fields. Is saved over a 12-year period by installing one synthetic field vs. maintaining natural field. Community members who will directly benefit from improving the fields at GDRHS. A family will pay in athletic fees for their student (2) to play 17 athletic seasons while at G-D.
LESS it costs to maintain a synthetic field vs. a natural field. Additional team events can be scheduled on GD's campus after renovations. Is saved over a three-year period by installing one synthetic field vs. maintaining natural field.